Monsoon is already here and July first week is almost over. Well this is the time when most of them suffer from skin problems due to humidity. My skin has also currently started breaking out. I think this issues are very common in humid climate. I am totally loyal to my Clinique skin care products and have been using it for years now. But recently it has just stopped working on my skin. So I had to get myself new face wash and something which keeps me hydrated in humid weather. 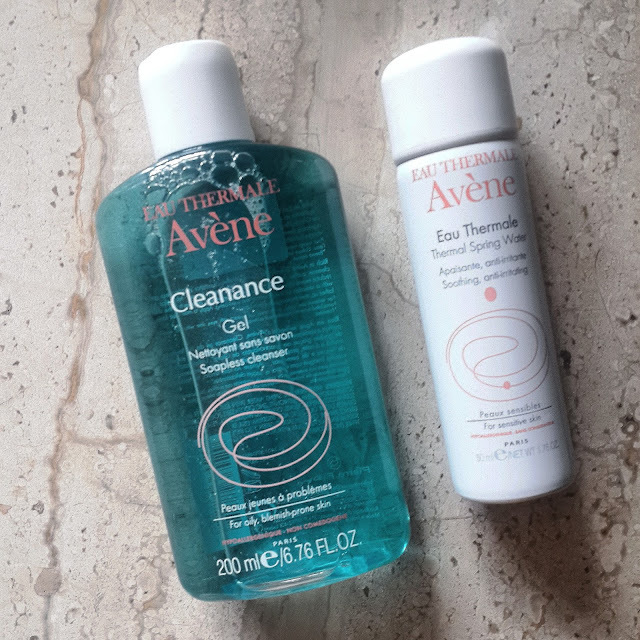 I recently discovered AVENE CLEANANCE GEL AND THERMAL SPRING WATER SPRAY are the two products which are much talked about everywhere. This made me more eager to try them out for my skin care. As much as i love makeup i love skin care products too. 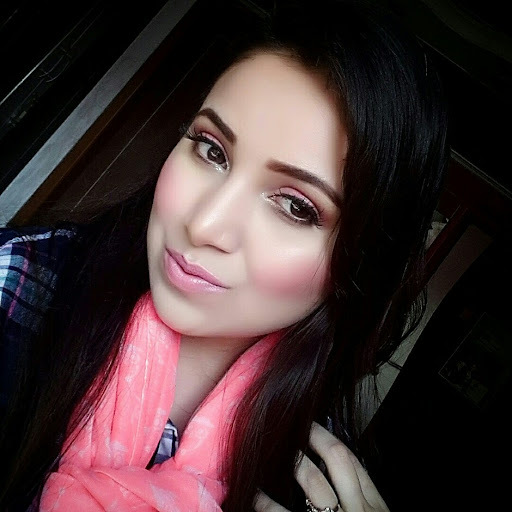 I think taking care of your skin with right products is most essential. This is going to be my first product from AVENE Brand and they are known for best quality skin care products. My Skin is combination and during such weather my T zone gets more oily and i usually end up with 2-3 breakouts. The sebum and oil production are inhibited and the bacteria responsible for blemishes is diminished, resulting in healthy, blemish-free skin. Effective on minute as well as adult acne. Keeps blemishes and acne at bay while making your skin clearer everyday! I have been using this product since a week and observing before I get to write about it. 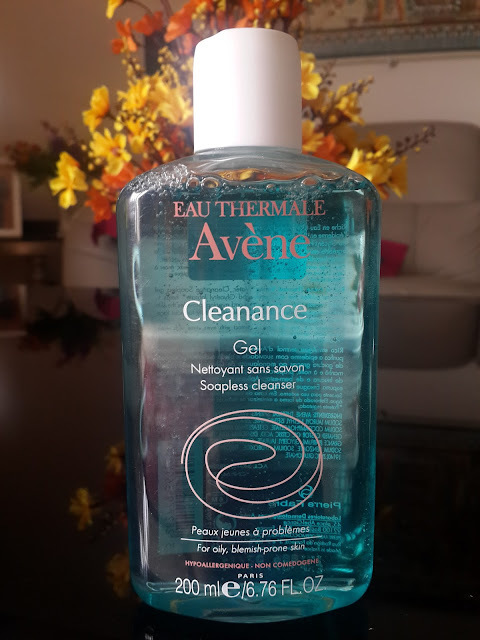 Avene Cleanance gel is a soap free cleanser which is ocean blue color gel comes in a plastic bottle packaging. This product is basically for normal to combination or oily skin. After a week with this cleanser it was worth single penny. I have used twice a day regularly and i can definitely see how it changed my skin. My skin is right now almost pimple free. My all pimples on chin are dried out. Though it doesn’t reduce blackheads from my nose my whiteheads have certainly reduced. There is no other pimple formation after that. It’s a very mild fragrance free gel having more water like consistency. You need very little quantity every time so this bottle will last you almost for 3 months. I am simply in love with this product. It can be used by sensitive skin also. It lathers well but not much like other face wash. After washing my skin looks soft and clean but my cheeks feel dry. So I recommend spraying thermal spring water from their range. Again its one of the amazing products I can get. I have got small size in it as I can even use it for travelling. Every time I wash my face I spray this it completely makes my skin cool calm and gives soothing effect. It tends to hydrate your skin. I wont completely recommend Cleanance gel for dry skin but for acne prone skin and those who wants to prevent acne this is currently best product you can have. It will start working from the very first day. How to use Thermal spring water? Spray onto the skin in a fine mist. You will need 2-3 spray to cover your entire face. Leave on for 2 to 3 minutes, then gently pat dry. Spray on as often as necessary. The thermal spring water can also be used for psoriasis, eczema, atopic dermatitis. I have recently started using this before I put any makeup. I don't recommend using it after makeup as its not a setting spray. Both products are hypoallergenic and non-comedogenic. This products are Preservative Free. Overall Cleanance gel recommended for combination oily and acne prone skin . THERMAL SPRING WATER is a must have and recommended for every skin type.